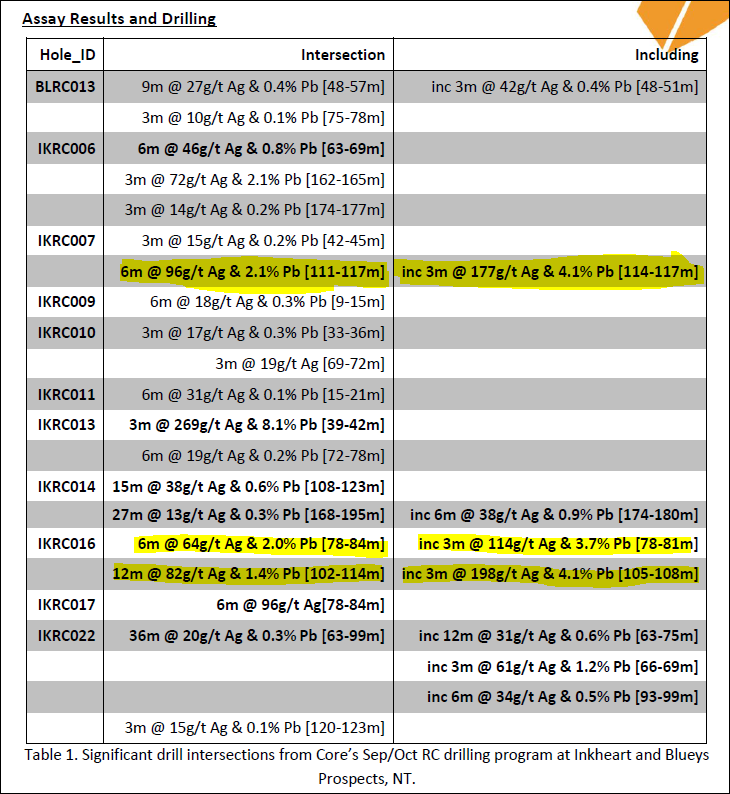 With various projects at various stages of development, CXO should be drilling and assaying and JORCing for years to come... if they don’t get taken out in the interim. 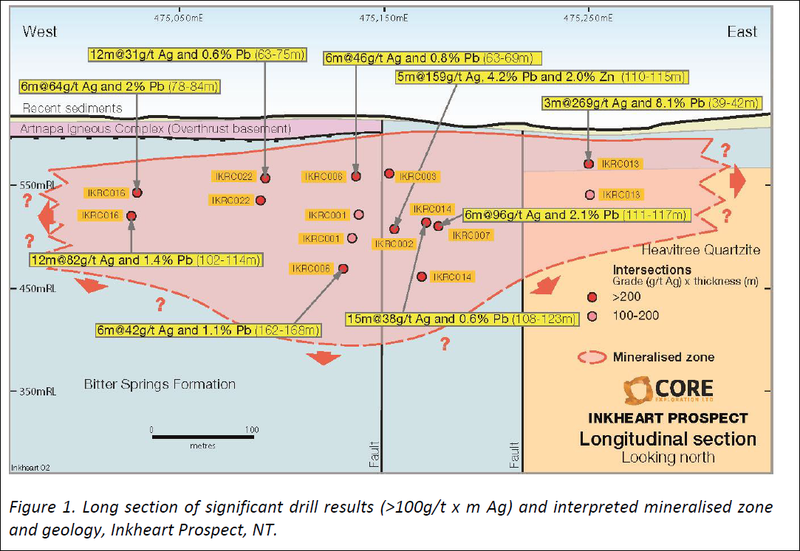 This is the first evidence of large-scale alteration and mineralisation processes identified by CXO at Inkheart, and it hints at something of size lurking in the close vicinity... 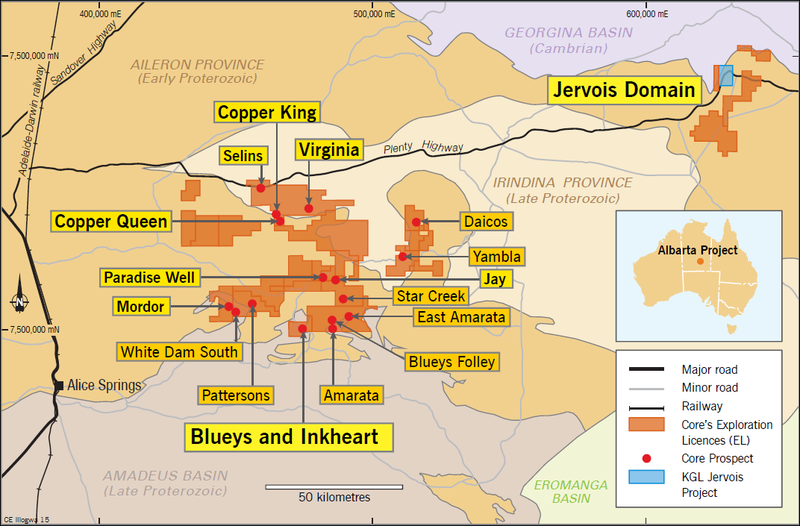 This sizeable something could be discovered by further exploration and drilling at Inkheart and Blueys – scheduled for early next year. 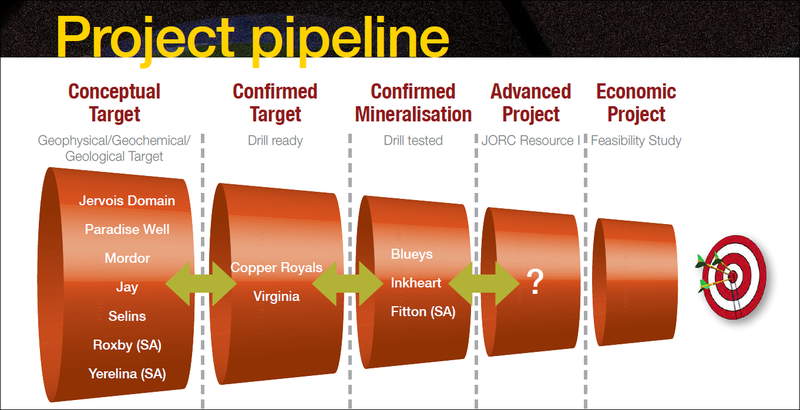 But in the meantime, CXO’s next round of drilling will focus on the Virginia and Copper Royals prospects. The plan of attack now turns to copper and gold at the Virginia, Copper King and Copper Queen and other prospects in the Copper Royals district. 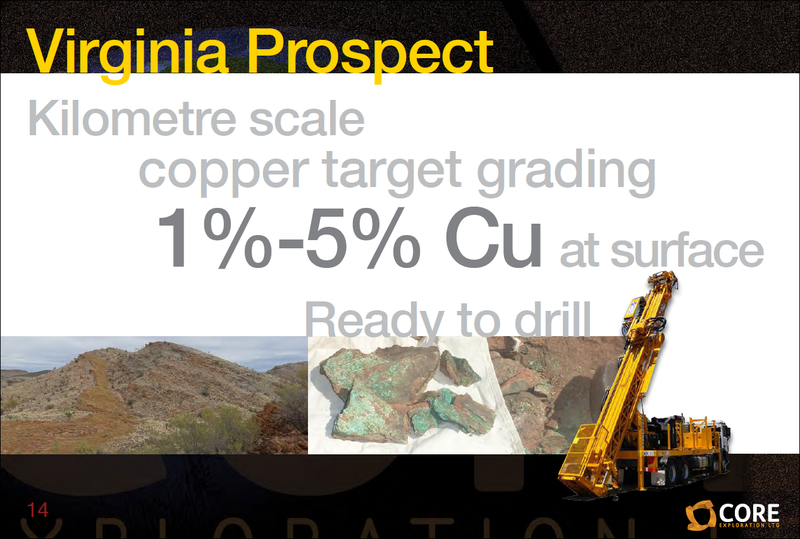 Virginia is a truly global scale copper target that extends for over a kilometre, with up to 5% copper at surface. Drilling a target of this size is kind of a big deal and something we have been waiting several months to eventuate. 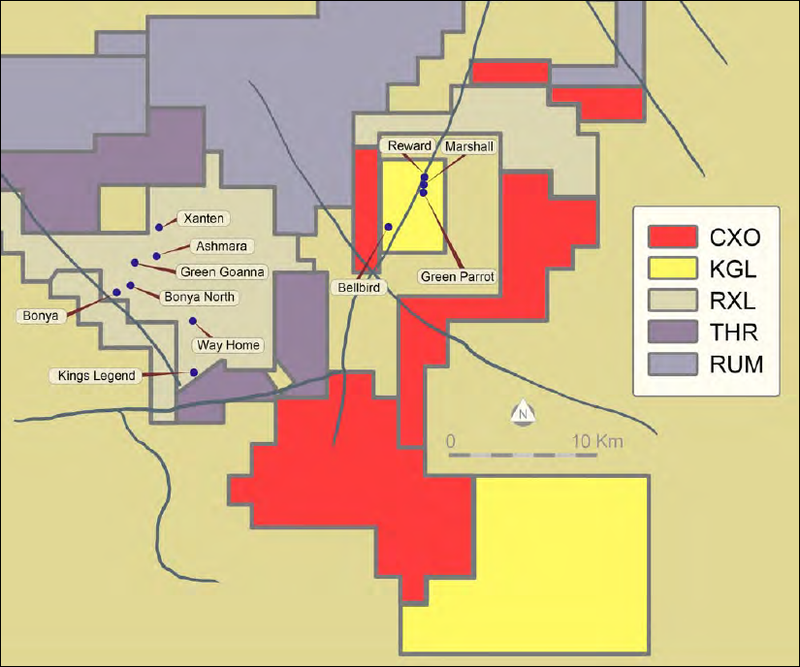 Then there is the Copper Royals District, comprising the Copper King and Copper Queen and a number of other targets with assays of up to 20% copper and 72g/t gold. 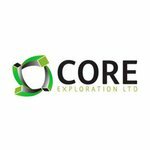 Drilling here could really wake the market up – those surface copper and gold grades are as high as we have seen in a long time. The past performance of this product is not and should not be taken as an indication of future performance. Caution should be exercised in assessing past performance. This product, like all other financial products, is subject to market forces and unpredictable events that may adversely affect future performance. CXO has a much smaller market cap than KGL – so if CXO can make a similar hit in the surrounding area, it could have an even bigger effect. 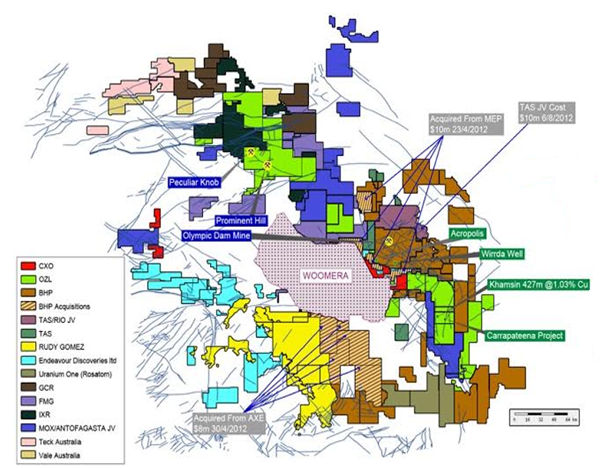 Again, CXO are chasing a global scale target at Jervois with across a large 20km prospective zone. The aerial electromagnetic survey currently underway will refine drill targeting: Drilling will then be scheduled, at this stage early in 2015 – which is almost upon us already. CXO has to be one of the busiest little explorers going around... With all that business comes numerous shots at nailing “the big one”. The interesting thing about CXO is that each one of its multiple projects has multiple prospects that could all hold one or more “big ones”. So the chances of success are enhanced several-fold over your run of the mill ASX explorer. At the same time, just like all ASX explorers, luck does play a part – CXO may not find anything. With copper-gold drilling at Virginia and Copper Royals, and aerial electromagnetics at Jervois in the coming weeks, CXO investors have the rest of the year fully booked. After this comes drilling at Jervois, and more drilling at Blueys and Inkheart. Time for a bigger diary!